The Justia Lawyer Directory now permits users to filter results based on lawyer rating, experience, and other parameters. The rating is based on the average score given by an attorney’s peers who are personally familiar with the attorney’s work, and as such, can help a prospective client evaluate and compare attorneys. If you are searching for a lawyer on the Justia Lawyer Directory, you now have the ability to filter your search results based on a number of parameters to find the lawyers who best fit your particular needs. Filtering by lawyer rating (either 7+ or 9+) helps you identify those lawyers who receive excellent scores via the Justia Lawyer Rating and Reviews system. 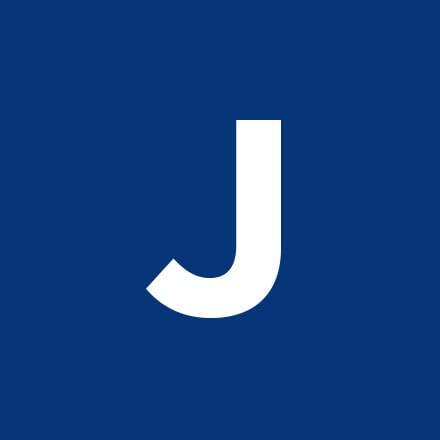 The Justia Lawyer Rating provides consumers and attorneys a metric by which to evaluate and compare lawyers before deciding to hire or associate with them and is based on the average score given to a lawyer by his or her attorney peers who are personally familiar with the lawyer’s work. Read more about the Justia Lawyer Rating and Reviews. People who are looking to hire a lawyer are significantly more likely to filter results to show only highly rated attorneys. For this reason, lawyers can benefit from having their peers write reviews for them. If you prefer a lawyer with five, ten, or twenty years of experience, you can use the “Years of Experience” filter to suit your preferences. Attorneys with more years of experience may be better suited to handle complex or unusual legal matters than those with less experience. That said, more experienced attorneys sometimes have higher fees as a result as well. Consumers and businesses may seek a lawyer who is proficient in a particular language. For example, you can now limit your search to immigration attorneys who speak Spanish, or Japanese-speaking business lawyers, based on your particular needs. Consumers and businesses using the Justia Lawyer Directory to find a lawyer may also filter to show only profiles that have detailed information provided, indicating profile strength. Lawyers who have claimed their profiles on the lawyer directory have more up-to-date information in their profiles and are more likely to respond to inquiries than lawyers with unclaimed profiles. Similarly, lawyers who have a profile photo are more likely to respond than those who do not, and some people prefer to “put a face to the name” before hiring or reaching out to an attorney. In general, the more complete a lawyer’s profile, the more effort they have put into their listing and the more likely they are to be responsive to your inquiry. The Justia Lawyer Directory allows any licensed attorney to create a free, full-featured professional profile. We are continually adding features and working to improve the directory to help give individuals better information and better access to lawyers. Justia offers premium website, blogging, and online marketing solutions for law firms. We have an unparalleled record in helping law firms grow. Regardless of whether you are just starting your online marketing efforts or have a fully developed website and blog, we have solutions to help propel you to the next level. In addition to our website and blog services, we also help clients with content, lawyer directory services, social media, local SEO, and paid advertising. Contact us for more information, or call us at (888) 587-8421. Justia is an online platform that provides the community with open access to the law, legal information, and lawyers. Justia also offers premium website, blogging, and online marketing solutions for law firms.